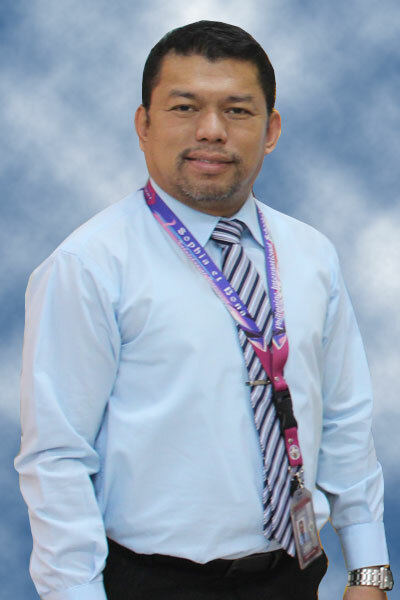 Welcome to Philippine International School –Qatar. As a student, you will have the opportunity to become an active participant in the growing tradition for quality education. An outstanding faculty and staff, together with a supportive community, will offer you a relevant, challenging program in a safe learning environment. You will be encouraged to select coursework and activities that will enrich your pre-school, elementary and high school experiences and help you reach your post-secondary goals. With the envisioned of the concerned Filipino community members to put up a school that would provide better education to expatriate students (Filipinos and non – Filipinos) in the State of Qatar, the second Philippine school was established in September, 1999 and determined the name PHILIPPINE INTERNATIONAL SCHOOL – QATAR. Henceforth, a 15 – member Founding Committee was formed to process all the required documents needed for its operation. By December of the same year, all other documents were processed and duly authenticated by the Philippine Embassy in Qatar which then forwarded to various agencies in the Philippines. The succeeding months had not been easy for the group. Although officially registered with the Philippine Securities and Exchange Commission on March 01, 2000, the school would not open until five months later. Hurdles and impediments emerged every step of the way. Grounded by their commitments to the children of Overseas Filipino Workers (OFW) in Qatar, the school’s founders were not deterred in accomplishing their noble ideals. With the immense assistance from its former sponsor, Sheikh Abdulla bin Faisal Thani Al – Thani, the school finally opened on August 05, 2000. The Philippine International School – Qatar was officially recognized by the Department of Education (Deped) Republic of the Philippines on the 10th day of July, 2009 with (Deped) Government Recognition No. SP – 005, Series of 2009 and is now fully operated by its owner Rajih Shabeeb Al –Dosari. The school is both mandated by the Department of Education (Deped), Republic of the Philippines and the Ministry of Education and Higher Education (MEHE), State of Qatar with their academic standards and procedures. The PISQ is now under the Enhanced K – 12 Basic Education Program, which covers kindergarten and 12 years of basic education that will produce productive and responsible citizens equipped with the essential competencies and skills for both life – long learning, employment and entrepreneurship. Education shall contribute to the development of God-loving, nationalistic and globally competitive citizens who will actively participate in building a just and humane society.